Welcome to Romper Room, or as it use to be known, the White House. 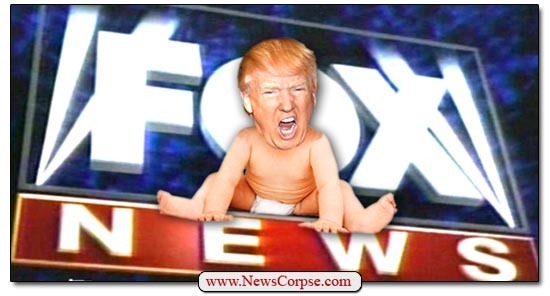 We pick up the story where 'lil Donny is tweeting something stupid straight from Fox and Friends. The tweet is critical of the Foreign Intelligence Surveillance Act (FISA), a key surveillance tool that the House was about to reauthorize yesterday morning. “House votes on controversial FISA ACT today. This is the act that may have been used, with the help of the discredited and phony Dossier, to so badly surveil and abuse the Trump Campaign by the previous administration and others?" Big Baby Trump managed to blast this claim before the nursery staff arrived and the confusion in the West Wing and the halls of Congress became exquisite. Chief baby-sitter John Kelly's phone wouldn't stop ringing. Lawmakers wandered around like stunned ducks trying to understand just what Donny wanted. "With that being said, I have personally directed the fix to the unmasking process since taking office and today’s vote is about foreign surveillance of foreign bad guys on foreign land. We need it! Get smart!" Okay. Everyone from Sarah Huckabee Sanders to John Kelly, had to act fast to avoid keeping Donny from looking any stupider, or out of touch. The cat was out of the bag however. Trump's lack of focus was featured days before during the televised meeting between him and members of Congress, when he contradicted himself several times. Babysitting Donny is a 24-hour job that only a true Trumpie would attempt.